How Does Application Reliability Correlate with Quality? Application reliability is the probability of a piece of software operating without failure while in a specified environment over a set duration of time. In a perfect world, a reliable piece of software is completely defect free, does not create downtime, and performs correctly in every scenario. In reality, this is difficult to accomplish as an infrastructure becomes increasingly complex and developers must deal with strict time schedules for project completion. Reliability is a factor of quality, but a distinct measurement for determining the probability of failure as programs are developed or enhanced. A robust application is one that can perform even when unexpected or unanticipated events occur. The development of secure, dependable, and robust software is the end goal for most organizations. Application reliability metrics aid in meeting this objective by providing insightful information about what areas of an application are causing or could cause potential problems. Why Integrate Application Reliability Metrics into Code Evaluation? Application reliability testing is used to discover software design flaws and functionality defects prior to deployment or release. Data may be gathered from several sources to determine where issues might reside within an application. Application reliability metrics may be applied to identify areas where vulnerabilities reside between multiple tiers or directly within the source code. This information helps programmers alleviate these problems prior to implementation to avoid system downtime or other complications. Application reliability metrics are beneficial for identifying unreliable software and implementing efforts to alleviate the detected issues. Automated solutions are advantageous for testing systems because they allow problems to be identified and resolved before systems are deployed into production. AIP provides the necessary measurements for identifying improvement areas and monitoring each implemented effort to resolve known issues. AIP can help your organization increase productivity, decrease costs, and produce secure software. 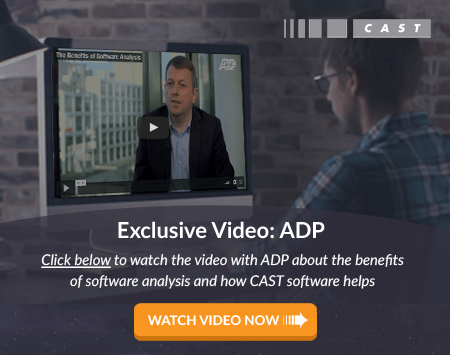 Application reliability does not have to be a dream, make it a reality with AIP. To learn more about using source code analysis to create defect-free software, click here.